We have reanalyzed the QDOT survey in order to investigate the convergence properties of the estimated dipole and the consequent reliability of the derived value of . We find that there is no compelling evidence that the QDOT dipole has converged within the limits of reliable determination and completeness. The value of derived by Rowan-Robinson et al. (1990) should therefore be considered only as an upper limit. We find strong evidence that the shell between 140 and 160/h Mpc does contribute significantly to the total dipole anisotropy, and therefore to the motion of the Local Group with respect to the cosmic microwave background. 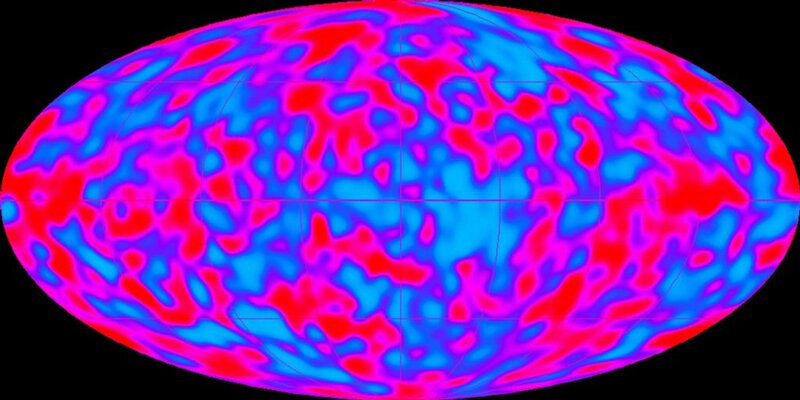 This shell contains the Shapley concentration, but we argue that this concentration itself cannot explain all the gravitational acceleration produced by it; there must exist a coherent anisotropy which includes this structure, but extends greatly beyond it. With the QDOT data alone, we cannot determine precisely the magnitude of any such anisotropy. (I’ve added a link to the Rowan-Robinson et al. paper for reference). This was a time long before the establishment of the current standard model of cosmology (“ΛCDM”) and in those days the favoured theoretical paradigm was a flat universe, but one without a cosmological constant but with a critical density of matter, corresponding to a value of the density parameter . There is also some contamination from Galactic emission in the middle, but you can see the dipole in the above map from COBE. The interpretation of this is that the Earth is not at rest. The temperature variation causes by our motion with respect to a frame in which the cosmic microwave background (CMB) would be isotropic (i.e. be the same temperature everywhere on the sky) is just . However, the Earth moves around the Sun. The Sun orbits the center of the Milky Way Galaxy. The Milky Way Galaxy orbits in the Local Group of Galaxies. The Local Group falls toward the Virgo Cluster of Galaxies. We know these velocities pretty well, but they don’t account for the size of the observed dipole anisotropy. The extra bit must be due the gravitational pull of larger scale structures. If one can map the distribution of galaxies over the whole sky, as was first done with the QDOT galaxy redshift survey, then one can compare the dipole expected from the distribution of galaxies with that measured using the CMB. We can only count the galaxies – we don’t know how much mass is associated with each one but if we find that the CMB and the galaxy dipole line up in direction we can estimate the total amount of mass needed to give the right magnitude. I refer you to the papers for details. Rowan-Robinson et al. argued that the QDOT galaxy dipole reaches convergence with the CMB dipole (i.e. they line up with one another) within a relatively small volume – small by cosmological standards, I mean, i.e. 100 Mpc or so- which means that there has to be quite a lot of mass in that small volume to generate the relatively large velocity indicated by the CMB dipole. Hence the result is taken to indicate a high density universe. In our paper we questioned whether convergence had actually been reached within the QDOT sample. This is crucial because if there is significant structure beyond the scale encompassed by the survey a lower overall density of matter may be indicated. We looked at a deeper survey (of galaxy clusters) and found evidence of a large-scale structure (up to 200 Mpc) that was lined up with the smaller scale anisotropy found by the earlier paper. Our best estimate was , with a large uncertainty. 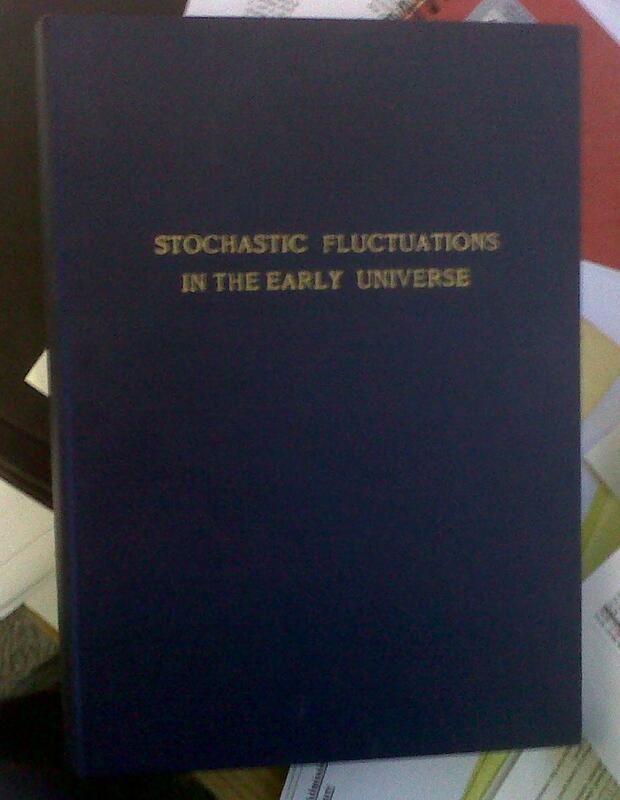 Now, 20 years later, we have a different standard cosmology which does indeed have . We were right. Now I’m not saying that there was anything actually wrong with the Rowan-Robinson et al. paper – the uncertainties in their analysis are clearly stated, in the body of the paper as well as in the abstract. However, that result was widely touted as evidence for a high-density universe which was an incorrect interpretation. Many other papers published at the time involved similar misinterpretations. It’s good to have a standard model, but it can lead to a publication bandwagon – papers that agree with the paradigm get published easily, while those that challenge it (and are consequently much more interesting) struggle to make it past referees. The accumulated weight of evidence in cosmology is much stronger now than it was in 1990, of course, so the standard model is a more robust entity than the corresponding version of twenty years ago. Nevertheless, there’s still a danger that by treating ΛCDM as if it were the absolute truth, we might be closing our eyes to precisely those clues that will lead us to an even better understanding. The perils of false convergence are real even now. As a grumpy postscript, let me just add that Plionis et al. has attracted a meagre 18 citations whereas Rowan-Robinson et al. has 178. Being right doesn’t always get you cited.